An overview of the past rallies by Openroads. Wake up on a sunny sunday morning with breakfast between over 100 classic cars, now that is something you seldom do. The day started with breakfast and a guided tour of the impressive workshop of RSC Automobile. The participants got to admire cars of all sizes, brands and eras. The cars had only one thing in common: they all had an incredible history. After the guided tour it was time to drive the beauties the participants brought themselves. With about 130 km of very varied roads to travel, the mood was great and the tour was a great success. A good road book, informative speakers, good food and a wide variety of cars. What a way to start the new season. Zeelandic Flanders was the chosen region for this first edition of this recurring event. The participants enjoyed a nice drive through the countryside, stopped for lunch and informative business sessions and enjoyed their cars during the day. The last publicly available road tour of 2018 was all about the unknown. A new area to discover, with roads that aren´t even on the map and a historic town that most have never heard of. The new area combined with a surprising stop and the good weather made this the perfect ending to a busy year. Autofans.be became ten years old this year, a perfect moment to get the readers involved by inviting them and their cars to a cool road tour through Zeelandic Flanders. Autofans has a very varied target audience, from McLaren to VW diesels, so the route had to be doable for everyone. After the 180 km journey, dinner was served and the day was ended in good company. After brunch brought to us by BMW Van Osch Tienen, the participants started their 180 km road tour through Haspengouw. Rolling hills with multi-colored fields brought variation along the route. On this hot and sunny day the participants enjoyed a cool down at the Wilderen brewery, before returning back to the BMW dealership. The Ardennenrit is, just like the Zeeland Classic, a road tour fully organized by Openroads. This adventurous road tour offered a whopping 264 km of driving fun along some of the most challenging roads in Belgium, Luxembourg and Germany. The road tour brought the participants to an open air barbecue. A rally that is true to the core values of Openroads. After a first successful edition, the Nieuwpoort Drivers Days again contacted Openroads for the 2018 edition of the rally. The supercar rally was new for that year, a rally where the participants did a 200km rally towards France. Meanwhile the electric cars returned to form with a seperate road book covering about 160 km with a charging stop in between. On sunday the vintage cars stole the show in the morning and in the afternoon it was the concours d'élégance that entertained the spectators. The Zeeland Classic is Openroads´ entry level road tour. This tour is ideal to get to know the company, our way of working and the basic concept of driving and navigating in a rally. The road book is kept simple to give everyone a chance to learn how to navigate, while the more experienced enjoyed the route and scenery with an excellent vacation feeling to it. The sun may not have participated that day, but of enthusiasm there was no shortage. Nothing was left to chance at the Luxury Leads Rally. An event with a true high class luxury feel to it where driving was important, but food and fun were not forgotten. After the start with a royal breakfast the thirty cars departed towards the most southern part of Zeeland, past wide open nature and beautiful natural pools decorating the scenery. Throughout the day the participants were treated to some culinaire outstanding degustations. Sunny skies, rolling hills and a diverse group of participants made this road tour into a true success. The 210 km long road tour went straight through the beautiful Pays Des Collines and treated the participants to some extraordinary sights, fun roads and challenging corners. After the departure at WAX-IT, a world renowned detailing company, the tour paused at an exclusive venue with an automotive touch, to end in a 17th century castle for dinner. After the road tour earlier in the year, a second one was planned at the other side of the country. The road tour started at the airfield near Saint-Hubert for a 225km ride along challenging roads. After the rally the participant was treated to dinner, with a unique view of the airplanes. Openroads again took care of the complete organization of the event. After the big success of the UK edition, a second rally was designed to further promote the Gentleman´s Fair. 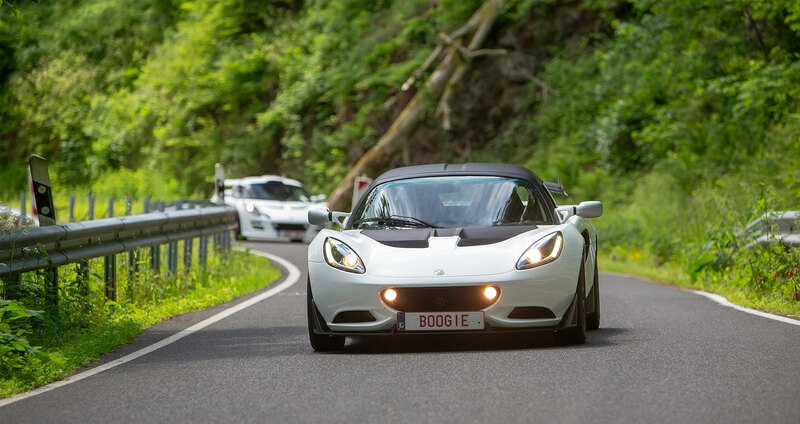 A two-day road tour was created that took the participants on a journey straight through the Ardennes and into the Eifel region on the first day, while the second day was marked by a visit to Belgian car designer Gillet Automobiles. Openroads again designed the route, took care of all start and stop places and made sure every participant got a good picture as a long lasting memory. The Nieuwpoort Drivers Days is an ambitious event organized for and by petrolheads where driving is an important part of the event itself. The event positioned itself strongly in the Belgian car scene, with a first for the country: an all electric rally. The 33 electric cars completed the 180 km long rally, with the help of a temporary charging station at start/finish in Nieuwpoort itself. On Sunday the oldtimers took the same route under clear blue skies. Openroads designed the route with diversity of the participants in mind, took care of the safety briefing and made sure every participant had a nice picture to remeber the event. To highlight the tenth anniversary of the biggest and most active BMW forum in Belgium, Bimmerboard.be, Openroads was commissioned to design two road tours for their members. The first one took place on the sixth of May and departed at BMW Verhelst in Ostend, for a 200 km journey through the Polder region. Openroads took care of the event from start to finish, with the road book, lunch, stopping places and logistics all done in house. During the last sun rays of 2016, the very first edition of the Gentleman´s Rally was driven. The day was filled, with a road tour of approximately 200 km through High Weald, a visit to Classic Jaguar Racing and a tasty lunch at a very English location. Breakfast and dinner were served on the ferry to not lose any time during the day. Openroads designed the route, made sure the timing was perfect and took care of the pictures of the drivers during the rally.